The mission of Anjolee is to provide the highest quality products and customer service . If for any reason you are not completely satisfied with your purchase, you may return any item in its original condition within 30 days of receipt and we will gladly provide a refund, replacement, or an exchange. All customized orders can be returned for full refund within 30 days of receipt. Anjolee guarantees that all diamonds sold are authentic and genuine. Anjolee will never sell treated, enhanced or lab-created diamonds. Each diamond is hand selected and carefully inspected by gemologists before setting. 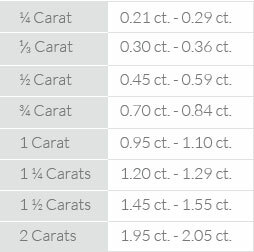 When selecting diamonds, there is a high and low range of the color and clarity grades combination. Anjolee guarantees that each diamond will always be in the higher range. If customers would like to purchase a third-party certificate, Anjolee recommends the reputable GIA and IGI laboratories. 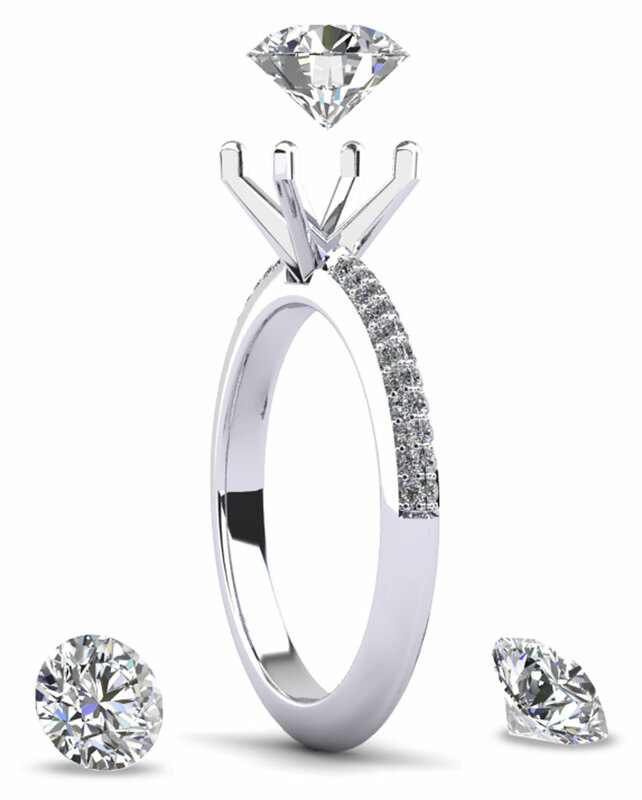 click here to learn more about The Anjolee Signature Diamond™ Guarantee. All items ordered from Anjolee will include two stamps placed discreetly in area that will not interfere with the design. One stamp indicates the metal type of the item ordered and the other is the Anjolee trademark. Generally, the stamps will be placed on the inside of the band of a ring, on the bail of a pendant, the post or setting of the earring setting, or on the clasp of a necklace or bracelet. 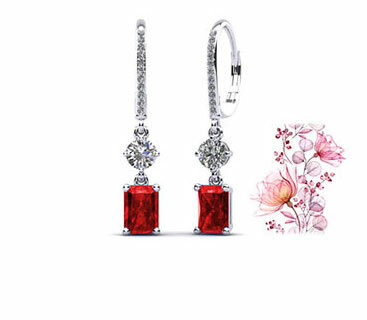 All jewelry stamps placed by Anjolee adhere to strict guidelines set by the Federal Trade Commission. Gemstones weight is measured in carats. Similar gemstone dimensions may have different densities and yield different carat weights. For instance, a 6.5mm round sapphire may be heavier or lighter than a similar size emerald gemstone. Anjolee will cover the cost of repair in case of a manufacturing defect within the warranty period. Anjolee covers a courtesy inspection and provide a resolution in the event of a manufacturing defect. The Anjolee Warranty does not cover improper handling, wearing, storage, negligence, wear and tear, accidents, that may result but not limited to chipped stones, loose or lost stones, bent mountings, and scratches or other factors that occurred not due to manufacturing defects of the original craftsmanship. Anjolee can also provide repair services of its own jewelry of all issues described above outside its warranty. 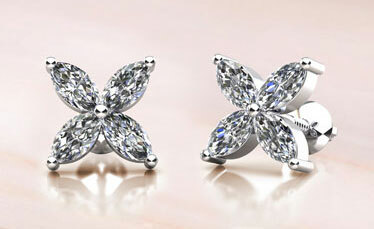 In such cases, contact an Anjolee jewelry specialist to arrange the return and cost estimate. Any alteration of the piece of jewelry by a third party individual unrelated to Anjolee and its affiliates, will void the warranty. The alteration includes, but is not limited to cleaning, polishing, resizing, repairing, stone replacement, engraving, stamping, and metal plating. If the jewelry needs repairing, please contact an Anjolee jewelry specialist to arrange the repair or adjustment. 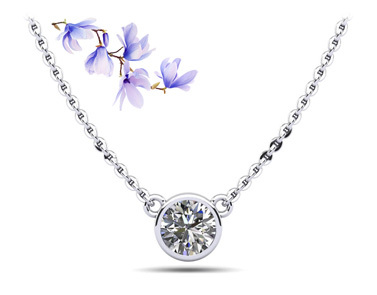 With proper care, you should enjoy years of pleasure with your jewelry. If you have any additional questions or concerns please contact a specialist at 1-877-ANJOLEE or send an email to service@anjolee.com.